Experience a different vacation with Croatia adventure holidays! 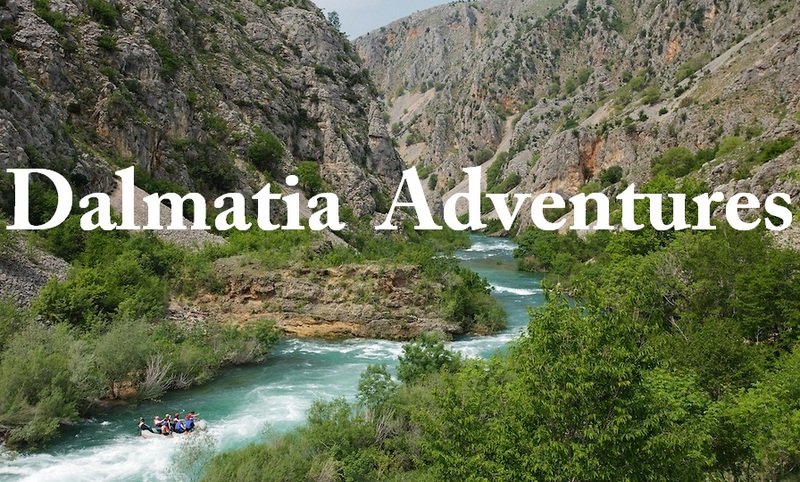 Dalmatia Adventures organizes completely personal one-day or half-day boat tours and excursions designed to ensure that your day at sea is a truly memorable one! Our expert sailors, Pakoštane locals, will welcome you on board to proudly show you many natural wonders of the Kornati National park islands! The tour is for maximum of 11 passengers so you will be guaranteed friendly, personal and genuine service. Hiking, trekking, biking and sea kayaking in Croatia are the best way to experience the natural beauty of this area. We would like to be your personal guides on a real adventure in a small group with friends as we explore the region. Our 7-day tours includes a variety of activties in the most beautiful national parks of Dalmatia where you can enjoy the wonderful landscape of sea, islands, mountains and waterfalls. This tours is for those who have a spirit of adventure, want to try a variety of activities, and are of average fitness. 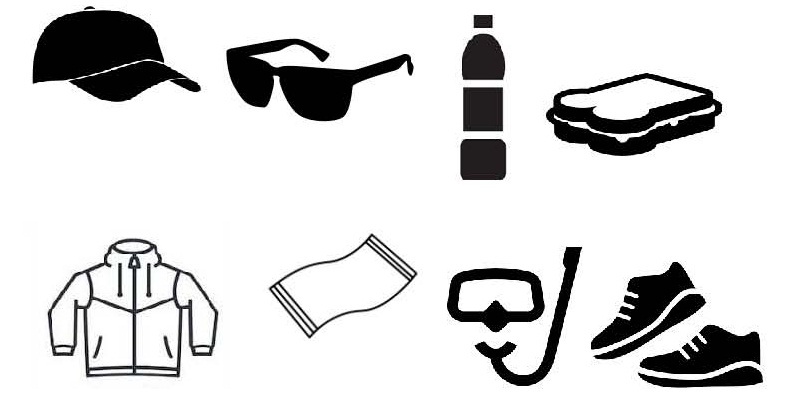 We also offer one-day personalized adventures focusing on the favorite activity of your choosing. We hope to tempt you into joining us for an adventure holiday in Dalmatia—-you can start by exploring our website to discover the best option for you. At the beginning of our excursion our guests first have the opportunity to experience a wonderful boat drive through the seas of Pašman bay, followed by the area of Žutski channel. 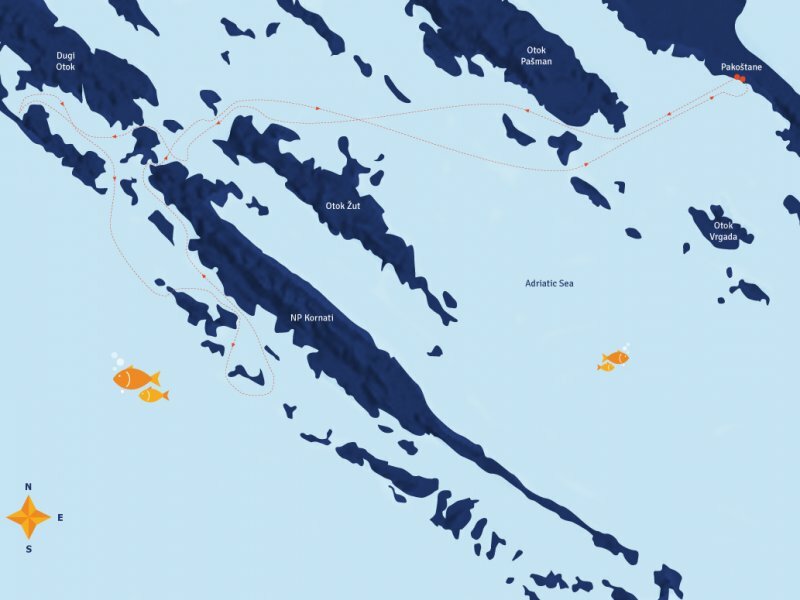 The route then continues to the Kornati National park and Dugi otok passage. The nature there is magnificent! After arriving to the nature park Telaščica (within Kornati National park) where the salt lake "Mir" is located and cliffs rise up to 160 meters, we drive to the place where the Europe's largest number of islands in one area is located (as one of our guests experienced it, a "small island world"). Then we head to the central point of the Kornati National Park. As you enjoy along the way many interesting stories and historical facts about that part of Kornati from your guide, we arrive below the 6th century fortress, making a quick stop there. Then we continue to the island of Mana where the remainings of the film taken in the 50's are. A short tour and a swim in the sea there brings us to the ending of our half-day trip. The return to Pakoštane port is estimated at around 14.30-15.00. 02.7. - 31. 8. 2019. HALF DAY IS NOT AVAILABLE!